The verdict is finally out. 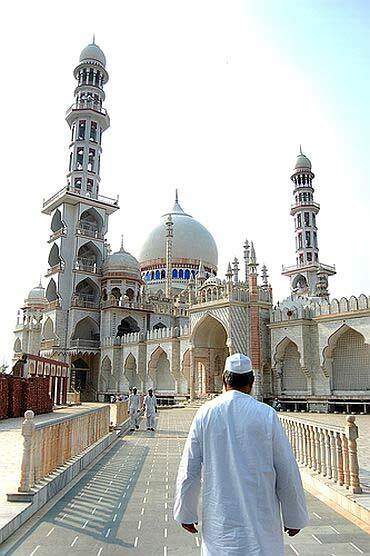 Maulana Ghulam Mohammed Vastanvi, the MBA cleric from Gujarat, will stay on as the vice chancellor of India's oldest school of Sunni Islamic learning, Darul Uloom. 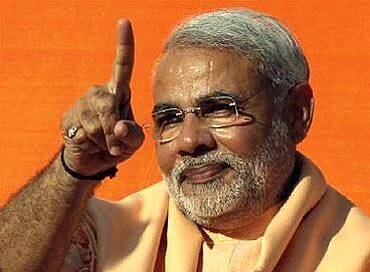 Vastanvi, who had raised the hackles of conservatives by his alleged praise of Gujarat Chief Minister Narendra Modi, on Wednesday appeared to have earned a reprieve when the highest decision-making body of the institution rejected his resignation. In an apparent move to appease all the parties concerned, the Majlis-e-Shoora has decided to let Vastanvi stay as the vice chancellor, but also ordered an inquiry against him. What's more, a 'caretaker' VC also has been named, citing Vastanvi's frequent trips to his hometown in Gujarat. The council has appointed a three member committee to look into the allegations against him. "I will continue to be the VC. The final decision on my resignation will come after the three-member committee report is submitted to the Shoora. They have not been given any time-frame, but have been asked to submit the report as soon as possible. My responsibilities and duties remain the same," Vastanvi told reporters after the meeting. The Shoora revealed its decision after deliberating on the matter for three hours, just before the Zohar prayer on Wednesday. 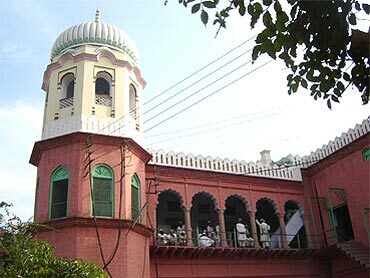 Fourteen of the 18 members of the Shoora turned up for the meeting, which was held at Deoband's Darul Uloom guest house and started at 10 am. After the meeting got over, three Maulanas walked out of the building but refused to comment on its proceedings, categorically stating that they would not like to be photographed or video graphed. Vastanvi, 60, was elected VC of India's leading Islamic seminary on January 10. The moderate Maulana, who has a Facebook page, had triggered a controversy soon after his appointment when he allegedly praised Modi and his development policy. "A three-member committee will look into all the issues and submit its report to the Shoora," said a statement issued on behalf of the governing council. There was no time-frame given to the committee to submit its report. Reading out the statement, Maulana Abdul Alim Faruqee, who was standing alongside Vastanvi, said that the Shoora had rejected Vastanvi's offer to resign from the top job. "The Shoora kept the decision on Vastanvi's offer on hold till the submission of the report," he said. "As of now, Mufti Abul Qasim Naomani Benarasi has been appointed as the caretaker vice chancellor of the Darul Uloom. If the Shoora accepts Vastani's offer of resignation, then Noamani will take over as the head of the institution," Faruqee said. "Vastanvi offered his resignation at the meeting, but the Shoora asked him not to resign yet. They told him that they would not accept his resignation at the moment. A three-member investigative committee has been formed to investigate all the events post January 10 (the day Vastanvi was appointed as VC). Till then he will continue as VC," Darul Uloom Public Relations Officer Adil Siddique said. Another Shoora member, Abdul Afleem, told rediff.com, "Mufti Abul Qasim Naomani Benarasi has been appointed as the caretaker VC. Since Maulana Vastanvi keeps going to his hometown, Maulana Naomani can act as the VC in his absence. This is not a special move. All the VCs earlier had acting VCs. However, if the investigating committee decides that Vastanvi is guilty, then by default, Maulana Naomani will become the VC." The new vice chancellor, Maulana Naomani, is also a member of the council and held the top job for a month after the death of longtime VC Maulana Marghub Rehman last year. 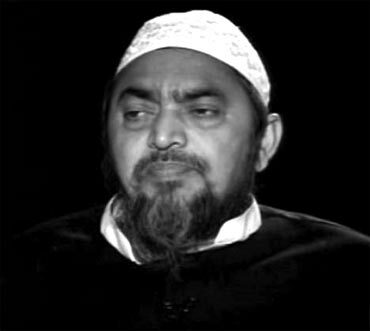 He runs a madrasa in Varanasi and is a widely respected Islamic scholar. Vastanvi was greeted by a large crowd, mostly students, when he arrived in Deoband on Tuesday night, contradicting the claims by his rivals that he has lost support among students. His supporters had launched a campaign on the social networking site Facebook to defend him from accusations. Ever since Vastanvi, the first non north-Indian VC since Darul Uloom was founded 145 years ago, took over, he has been under attack from conservatives. He is credited with having set up 65 centres of excellence across the country, where children receive education in both English and Urdu. Meanwhile, the district authorities had deployed extra police force in the area to prevent any untoward incident. "We are taking all precautionary measures. We have deployed one company to maintain law and order," a senior police officer said. In the second week of February, clashes broke out inside the seminary between pro- and anti-Vastanvi groups, leaving several people injured. Following the clashes, prohibitory orders were enforced by authorities under Section 144 of CrPc to ensure peace in the sensitive town. Media was banned from entering the premises of the Darul Uloom, which claimed that the presence of media persons was affecting students' preparations for the upcoming examinations.